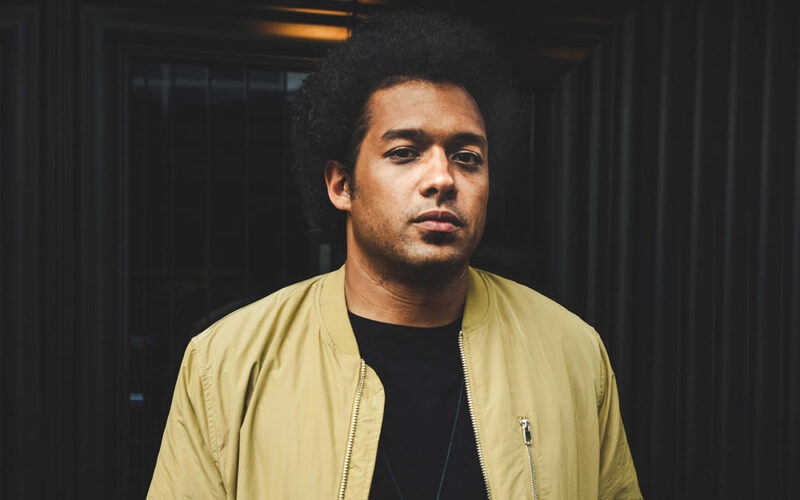 Chicago-based jazz drummer, producer, and “beat-scientist” Makaya McCraven recycles sounds from his own live improvisations to make fresh hip-hop infused recordings. McCraven’s rhythms—influenced by free-jazz, African dance bands, Hungarian folk music, indie rock, and a deep history of “straight ahead” jazz—are flipped, layered, and spliced together into something wholly inventive and radically communal. On Friday April 19th, McCraven returns to the Royal Room for two shows with an incredible Chicago quartet: Greg Spero (piano); Matt Gold (guitar); and longtime collaborator Junius Paul (bass). A master of collaboration, McCraven has selected a touring group aptly suited for the new music ritual he reigns in. McCraven’s pianist Greg Spero is known in the jazz world for his work touring with the Miles Davis Electric Band, a multigenerational all-star collective led by Davis band alumnus Vincent Wilburn Jr. (Davis’ nephew). Spero has been equally successful in creating music content for TV and film and touring with pop acts The Weeknd and Halsey. Spero’s newest acclaimed project is his jazz band Spirit Fingers, a dynamic ensemble of uber-talented young musicians. Guitarist and composer Matt Gold is fresh in his career, already with appearances on NBC, FOX, and NPR under his belt. Gold is one-half of duo Sun Speak, with drummer Nate Friedman. Together, the two musicians craft an innovative writing style that explores composing music wholly from previous session improvisations, not dissimilar from McCraven’s methods. The musical literacy of bassist Junius Paul is unavoidable. The internationally established instrumentalist has shared the stage with artists including Wynton Marsalis, Curtis Fuller, Donald Byrd, Fred Anderson, Roscoe Mitchell, Kahil El’Zabar, Chico DeBarge, KRS-One, Dee Alexander, Roy Hargrove, and Corey Wilkes.